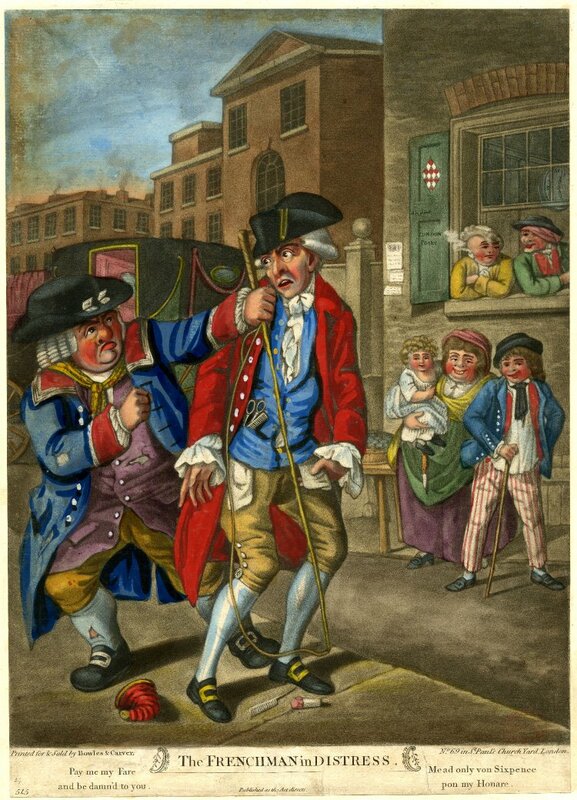 The Frenchman in Distress, Robert Dighton, printed by Bowles & Carver, 1786, British Museum. 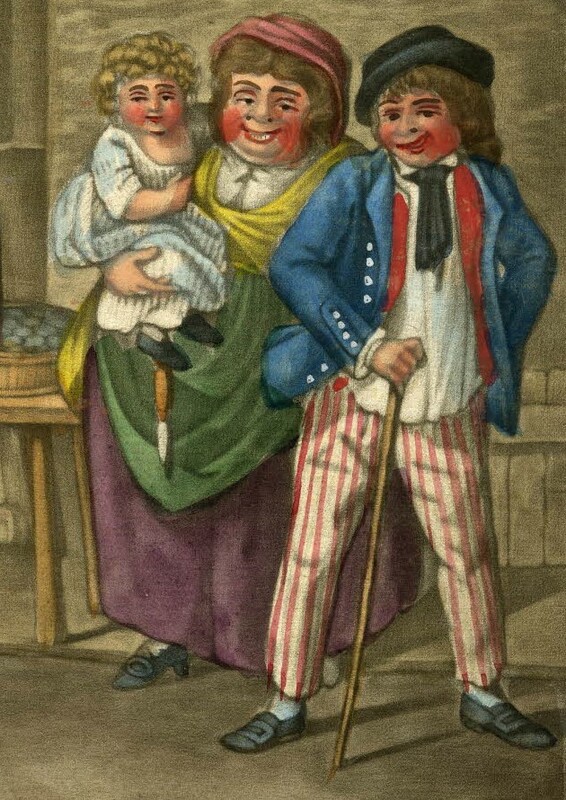 Beating well dressed and effeminate Frenchmen is a running theme in British cartoons of the late eighteenth century. In this case, a coachman gets his licks in, raising a fist while the Frenchman empties his pockets, spilling his fripperies onto the sidewalk. Numerous onlookers watch the scene, including a sailor and what might be his family. The large woman stands by the oysters she has for sale, an oyster knife hanging from her waist. to the right stands a well dressed tar. His round hat is black with an upturned brim, a "buck hat." His shirt is bared between the open lapels of a red waistcoat, over which a short black neckcloth hangs down, tied beneath his collar. A blue jacket with white buttons and a closed mariners cuff hands down to the top of his thighs. White trousers striped with narrow red vertical stripes ends above the ankle. Rectangular buckles keep his shoes fit tight, and he holds a stick in his right hand. The neckcloth worn OUTSIDE the collars stands out, to me. I have a general impression of sailors wearing their neckcloths INSIDE the collar. I'll have to backtrack, now, to examine that.